Well, that was unexpected. 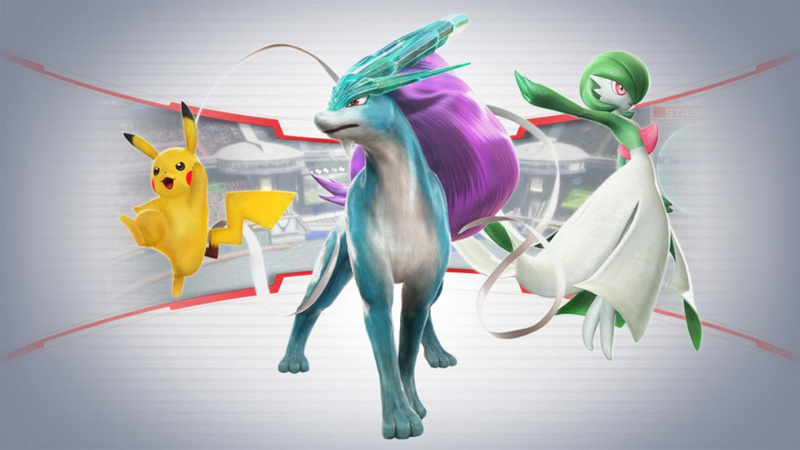 Without any warning, Nintendo has pushed a demo of Pokkén Tournament onto the European Wii U eShop, giving players the chance to sample the title for free. The download went live last night, and weighs in at an impressive 1150MB. There's currently no sign of a similar demo on the North American eShop, sadly. Has this demo tempted you to make a purchase? Or were you planning on getting this crossover release regardless? As ever, we want to know, so place a vote below and share your thoughts with a comment. Yes, I wasn't interested before, but now I'm hooked! Are you kidding? I've been waiting for the game for months! What the heck is a Pokkén and why are they holding a tournament?! Thanks to Tsurii for the tip! Whelp, I just ordered click and collect at Argos. Unfortunately I'm at work so won' be able to try the demo until later, which would make it too late to decide whether to pick the game up or not. Anyone know if the demo is two-player? Just checked the Australian eShop and it's not available here. How much content is in the demo? There has to at least be multiplayer right? Demos for major Nintendo franchises? About time! Derp, well not that there's any point now that I've been playing the game since yesterday! 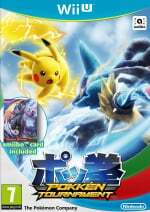 @Mogster @Peace-Boy the demo is only single player matches, 4 characters avaible (Pikachu, Lucario, Charizard and Gengar) and 2 support combinations. Weird enough, the CPU can actually use other characters like Gardevoir time to time. Id we could try it in the US, I'd consider getting it more. I bet this is more Bamco's push than Nintendo's. Much like I expect Koei were the reason for the Hyrule Warriors demo. Either way it's a good practice and one Nintendo needs to adopt more frequently. Well it a smart move and i hope they do this more often whit other games as it could help people buy them but next time maybe a week or two before the game is released like they did whit splatoon would work beter. No options for "I haven't tried the demo yet" so I went with the last option. @Retron Switch your region to a Euro one (the UK is what I use), create a new profile to access the eShop, and voila! @Grumblevolcano yeah I was just thinking the same exact thing. I don't know why either. Why wouldn't they let people try something as big as those two franchises? "Hey, did that SuperBowl commercial air in America....yeah? Then they clearly dont need a demo for Pokken tournament"
Well, Reggie, is Reggie, but it's still very nice to see somebody at Nintendo somewhere has a clue. I do think this is a different type of Pokemon game that could benefit from the demo. I looked in Target yesterday but there wasn't a demo. Or even a video of any kind, on the kiosk. There was a big cool poster next to it for Pokken, so that's something at least. The game will be at our house in a few hours so we don't need a demo, but I do hope Starfox gets one so we can learn the controls before the game. They keep telling us how hard the controls are, makes sense to let us practice first. And they've been showing that same level for about a year, should be easy to demo that level. And Project Guard could really use a demo too. 100 missions in a game, they can spare 2 or 3 for the demo. It's a $15 separate DL, so a demo could help people who don't get Starfox on disc. Oh, I like the new big typing box, I can read a whole paragraph at a time. I'll try this out, altough I don't have any interest in Pokkén Tournament. Cool, I'll download it. Ultimately I decided not to get Pokken due to both an abundance of games to play and lack of time, but this might yet sway me I guess. Or at the very least I'll be able to hold my ground a bit when my friends hold a local tournament. I'm glad to know what that blinking light on my gamepad is all about.. I got it early yesterday and played it last night. Seems like a lot of fun. @AlexSora89 Pikmin 3 also had a demo, I believe. And Wonderful 101, and Bayonetta 2. Of course, these could be debatable as "major franchises," but they were big releases, like Pokken Tournament. Got the full game order it awhile ago but also check out the demo which is only basic with 4 characters too choose from and straight into a fight so was abit of a button masher lol but it was fun n looks fantastic will enjoy this game. Well I already have the game. Thanks Nintendo. The whole point of a "demo" is to try before you buy. How can I do that if I already pre-ordered the game? Just went to play it but I can't get past the title screen with just the Pro controller. My Gamepad charger isn't working,waiting on new one coming. I assumed I'd still be able to play this though. I surely would have been late for work today if this had released in the US, so I guess I should be happy about not getting it? Just trying to find a bright side here. No demo in NA? No problem, I'm picking up my copy from my local game store after work today. I don't see the demo on Wii U here. Mostly because I live NA, lol. Well, the game does look pretty cool from what I've seen from trailers. I might pick it up one day. I know, it's just that the Zelda HD remakes, Super Mario 3D World, Mario Kart 8, Super Smash Bros. For Wii U, Donkey Kong Country Tropical Freeze, and similarly big games on the WiiU didn't have any demos. I'm really looking forward to playing this demo, but the prospect of moving to the UK to do so doesn't really appeal to me that much. NoA hasn't been very good to us, between the amiibo situation, the pathetic virtual console releases, and now this. Come on, Reggie. @rjejr There actually is a NA kiosk demo at some Wii U stations across retailers in the US, it also in part depends on the fact that certain stores of the different chains can have lazy people not update the kiosk. For example I demoed Pokken at my nearest Target yesterday while my gamestop next door had all the ads but didn't update their system. @TheRealThanos Australia gets a lot of things at the same time as Europe, and you can import games between the two regions and regoin locking doesn't block it. There are more identical releases than differences, so any difference is worth noting. I've tried the demo and i had to say that has a poor graphic with quite a good gameplay so i'll wait for a price cut. I don't want to pay 60€ for that game. @MadAdam81 I know, and I have imported some Aussie stuff in the GameCube days and also after that, because of some online deals, but this article specifically states European eShop and NOT "the PAL region", which would include Australia. @TheRealThanos most things about Australia merely say Europe and not PAL region. But it came out in Australia not long later. @ASonic3582 I have 2 Targets that I go to, one is in a poorer neighborhood and is a mess, and another bigger one is in a nicer neighborhood and they usually have more stuff, but neither had it this week. I have seen ads for it for what might have been a Gamestop exclusive. I do think all those kiosk demos should be available for home download after the game has been out about a month. Let the early adopters buy it day 1, and some stragglers, but I would think after a month a demo would help rekindle interest, not scare people off. It was an interesting demo and it looked really awesome. Very crisp and detailed. How many characters are in the game of the 700+ Pokemons? Pokemon franchise however is not for me. It holds nothing special of value. If it was an open world game for Wii U, I'd buy it out of interest though. The intro video looked amazing with the villages etc. Would be amazing to travel around in a proper world freely. Then I might get deeply involved with Pokemon franchise and to know the lore.